Stylish and inspiring studio design ideas and interiors. The Yoga Studios opened its doors in November 2017. 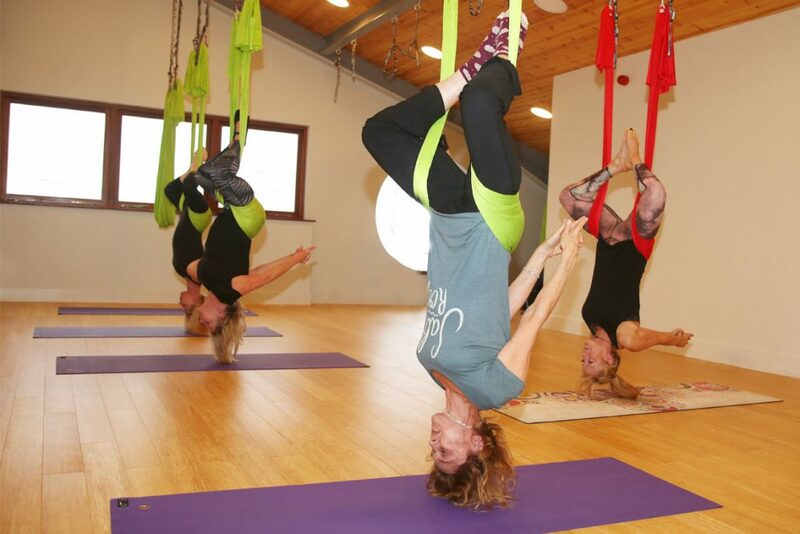 Its owners are the family behind the yoga equipment company, Yoga Studio UK, which provides quality equipment to countless yoga studios across the UK – and now their own one in lovely Poole. Owners Rob and Angela had a vision to create a beautiful yet functional yoga space, offering a broad range of classes to the local community and to those visiting Dorset. 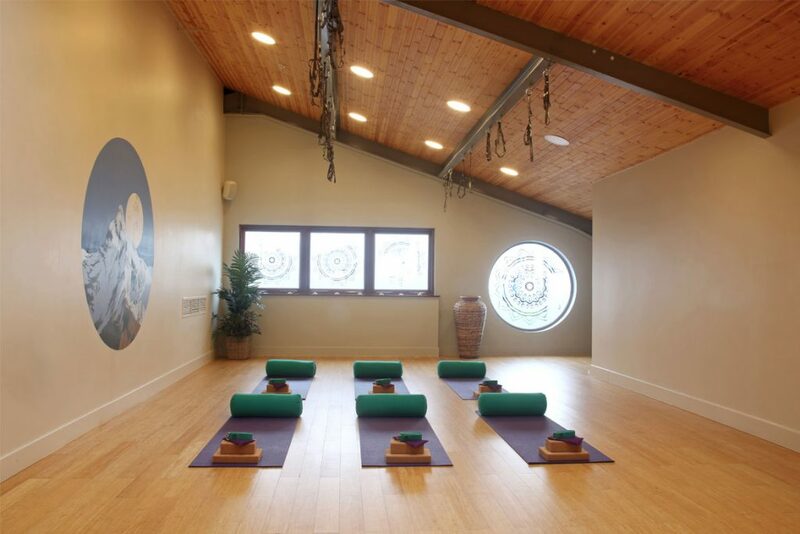 The Yoga Studios were designed with warmth and versatility in mind, a unique open loft style space with beautiful hand painted art on the walls and large round mandala etched windows. There are two generously sized studios opening into one larger combined space. This has created a huge studio space ideal for yoga teacher trainings and weekend workshops (the combined space holds up to 45 students). Other benefits also include dedicated parking, a secure and safe premises, modern separate changing and shower rooms, fully heated/air-conditioned. It means there is an exciting programme by visiting teachers from London and all over the UK planned for 2019. 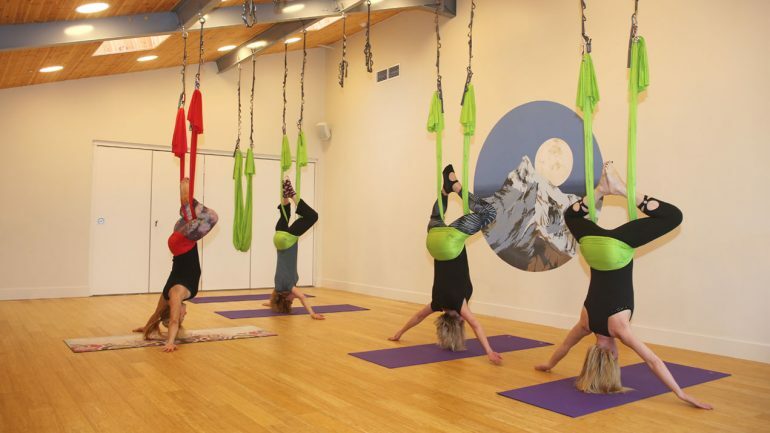 More contemporary yoga styles, as well as traditional hatha and ashtanga classes, are also offered weekly, with metal beams fitted for aerial and trapeze yoga across the high wood panelled ceilings. With Pilates, Yoga, Aerial, Meditation, Mindfulness and many more on offer, get in touch today to start your 2019 in the right way.